The ownership transition won’t impact the day-to-day management of the company. The management team that has been guiding Bandit for the last several years will remain in place under the ESOP. Former owners Mike Morey Sr., Dianne Morey and Jerry Morey announced their intention to sell the company in an ESOP over the summer of 2018 — a move that was celebrated by Bandit's employees and customers. It ensures the corporate culture that has made Bandit a success for 35 years will remain intact. The ownership transition won't impact the day-to-day management of the company. The management team that has been guiding Bandit for the last several years will remain in place under the ESOP. 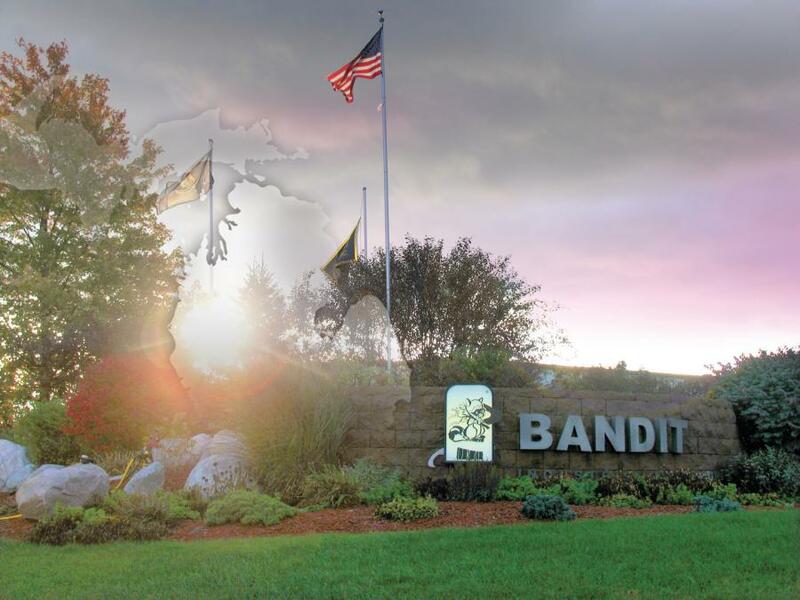 "We're excited to begin this new era in Bandit's history," said Jason Morey, Bandit's North American sales manager and member of Bandit's management board. "We continue to grow, expand and gain market. We're putting the finishing touches on two new building expansions that will increase our capacity and efficiency for our parts departments and final assembly." In addition to growing in capacity, Bandit also has been expanding its worldwide dealer network and customer base, growing in virtually every market share. Bandit recently announced a joint venture with German company ARJES GmbH, a producer of slow-speed shredders and crusher, expanding into a new market. "We're constantly changing, growing and moving forward," Morey said. Scott Parks, the plant manager and member of Bandit's management board, said the future of Bandit looks bright. "I can see us continuing to grow because we work as a team here at Bandit," he said. "It's not just one person that does anything and everything, it's teamwork." Jamie Morey, the Bandit parts and service manager and granddaughter of Mike and Dianne, said the future is bright for Bandit. "As we move forward with Bandit now an ESOP company, myself and the rest of management are excited to keep pioneering and moving forward with the legacy that was left to all of us," she said. "As a granddaughter and management board member, I couldn't be more proud of what Mike, Di and Jerry have chosen to do. It's been a real honor to watch this company transform into what greatness it is today." Former owner Jerry Morey said the future of Bandit now belongs to its employees. "It's going to be a great opportunity for all of our employees. They'll all have a share in the business, with a lot of incentive to continue to add to what we've already built," he said. "Bandit's employees will continue to make this company even stronger." For more information, visit www.banditchippers.com.